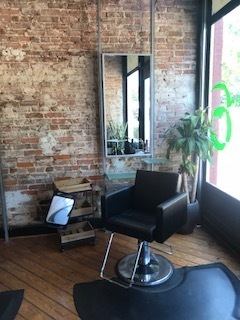 Below are the images of the salon equipment for sale. All of the equipment is lightly used and in great shape. Retail value buying the equipment new is $95,000. We are selling the package of equipment for $14,900. We can discuss purchasing separate pieces. 8 stations -16 working spaces. 4 Brown and 4 Blonde. 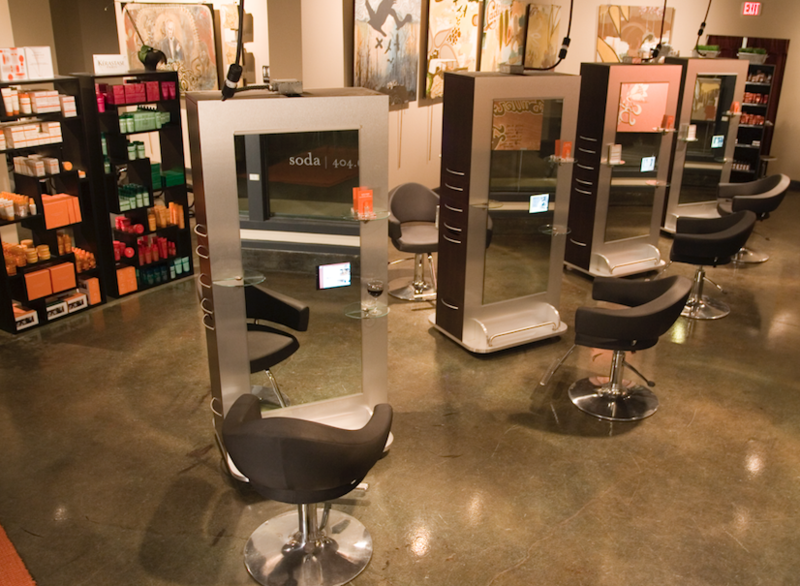 Erik and Tracey Pearson created Soda Salon and won many awards for the salon’s design. 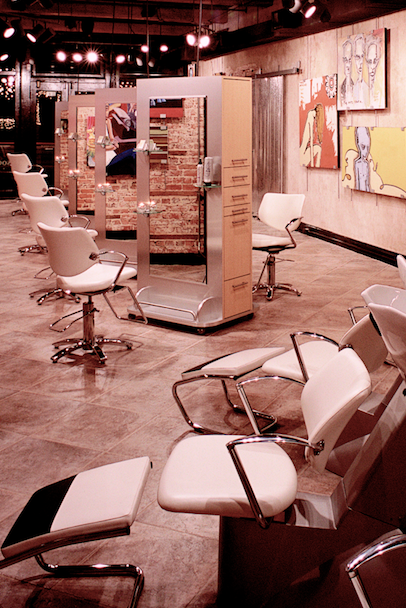 As they embark on their next journey, they would like to assist someone in making their salon dream come true. The equipment can be purchased at the package price or individually. Erik and Tracey Pearson are excited to share their knowledge of creating an award winning salon and share their dos and don’ts. Consulting is also available with purchase.